Black Panther matters. If you’ve been paying much attention to the news or social media lately, you’ve probably been made aware of its record-breaking success . 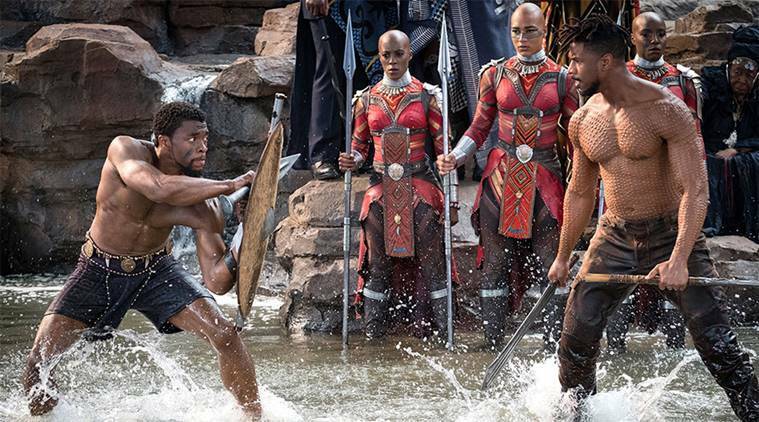 Black Panther opened this past weekend to a whopping $202 million. Which gives it the fifth highest grossing opening weekend of all time. People love Black Panther, and they love it because Black Panther matters. Black Panther matters because of the many ceilings it has already broken. The primary ceiling is money, and we’ll discuss that a bit further before we move on to the social aspects of the film. Black Panther took the number five spot for highest three day weekend gross with a massive haul of $202 Million. This doesn’t take into account the extra weekend day that Black Panther had due to the President’s Day Holiday. That extra day raised the total haul to another record breaking $242 Million. Like most other Disney backed blockbusters, Black Panther has made Disney a bucket load of money. But Black Panther doesn’t matter because it made record breaking amounts of money. The money just proves the need for the film and why it truly matters. Why Does Black Panther Matter? The first reason that Black Panther matters is a name, Ryan Coogler. Unless you’re familiar with the Rocky franchise’s latest installment, Creed, you’re probably not familiar with Ryan Coogler. He’s only been at the helm of two other movies before Black Panther. He directed Creed in 2015 and the Sundance favorite, Fruitvale Station, in 2013. 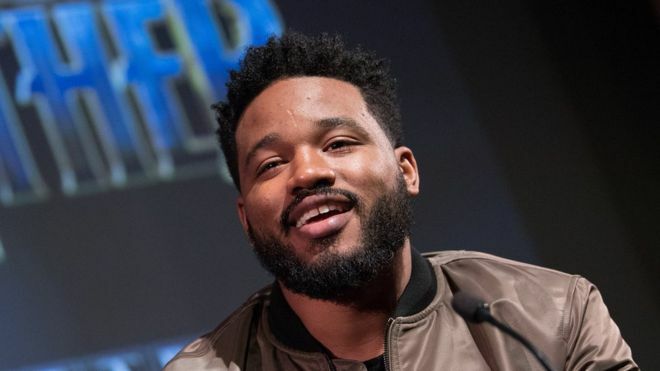 Like many of Marvel’s directors, Coogler has been relatively unknown prior to being tapped by Marvel. For example, James Gunn, Scott Derrickson, and the Russo Brothers were all unknowns before Marvel hired them. Before Marvel, James Gunn was best known for writing the Scooby-Doo films, Scott Derrickson for directing horror films, and the Russo Brothers for filming Community’s paintball episodes. However, Coogler’s track record differs from this pattern. Ryan Coogler sticks out because he already has already earned critical acclaim. (Coogler has an average Tomatometer score of 95.33%. Gunn has a 62.6%. Derrickson has a 46%. and the Russo’s have a 63.75%) Ryan Coogler is a mere week into his Marvel career and already has the best reviewed superhero movie of all time and the highest opening weekend by an African-American director. He is also well on his way to claiming the title of director of the highest grossing superhero origin film; a mantle currently held by Patty Jenkins. Ryan Coogler is proving not only his versatility and prowess as a director, but that people want more films created by women and minorities. Think of the biggest surprises of the past year, specifically Get Out, Wonder Woman, and Black Panther. If the past year of box office record breaking has proven anything, it is that these kinds of films are in high demand. Think about the biggest superhero franchises of the past twenty years, what do they all have in common? Need some examples? Spider-Man (Maguire, Garfield, or Holland), Batman (Clooney, Bale, Affleck), Wolverine, Superman, Deadpool, Iron Man, Captain America. Those heroes are all white males, and they are all North American. I say North American because Wolverine is technically Canadian, but he still fits the stereotype. Basically, they’re all white guys from America. They all have the same vernacular, most of them live in New York, and they all represent the same demographics. T’Challa, better known as the Black Panther, fits none of those stereotypes. He speaks with an East African accent, he’s visibly not white, and he dresses in non-western clothes. He breaks the only mold that audiences have ever really seen, and in a big way. T’Challa even breaks the mold where other African-American lead heroes have failed. This particular failure can be seen in Netflix’s Luke Cage. In Luke Cage, the titular character talks like, dresses like, and acts like the stereotypical white hero, despite being from Harlem. Black Panther triumphs because it doesn’t try to morph its amalgamation of centuries of African cultures and traditions into something that American audiences are familiar with. Instead it chooses to draw those audiences into something that they most likely are not familiar with. Black Panther also stands out as a film because of the attention dedicated to its female characters. Take Okoye for example. Okoye is King T’Challa’s personal bodyguard and leader of Wakanda’s fearsome female fighting force, the Dora Milaje. She is a female warrior that is highlighted by her steadfastness and fighting skills. Not one second of the film sexualizes Okoye or places her in any kind of submissive role. Instead, several scenes prove Okoye’s superiority in combat. Several scenes more prove her judgement and resolve to be superior to either of the male leads. Okoye is feminine and also she is fierce, making her one of the film’s strongest characters. Another great example is T’Challa’s sister, Shuri. Shuri is the foremost scientific mind of Wakanda. She is portrayed as such during the film, and actively supports her brother throughout the movie. Shuri even manages to hold her own with Killmonger after T’Challa failed. Again, the film does not overly sexualize her, as is common with female characters in superhero films. 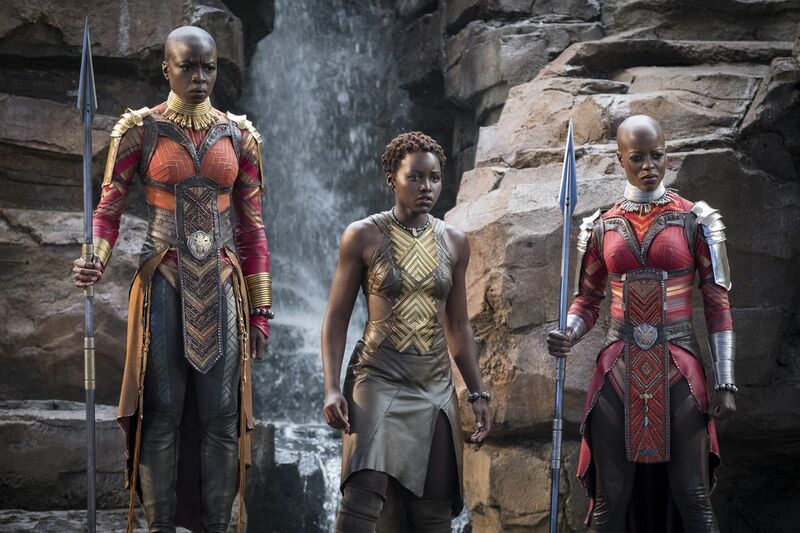 Women of color are very often under portrayed or stereotypically represented in blockbuster films, but Black Panther sets that record straight and portrays them in bold and empowering new lights. For an example of how heroines are often oversexualized and underused, check out how Wonder Woman is used in Justice League. What Does It Matter to You? I’m a white male, so I’ve spent my entire life with childhood heroes that looked like I did. I’ve never seen a superhero movie with someone that didn’t speak like I did. I’ve never had a hero that hasn’t had the same experiences as I have. It was a little weird feeling unfamiliar with a character’s background and customs in a blockbuster Marvel movie. However, that isn’t a bad thing. That means that people like me can be exposed to new ideas, beliefs, and customs. This doesn’t detract from my view of the film, but it further proves to me that Black Panther matters. People who have never seen themselves at the movies can look up and see someone who’s different. Children can see someone who came from the same scenarios and lifestyle that they did. They can see that same someone rise up to be something great. They can see people like themselves doing things they aspire to do. Black Panther matters because it also introduces a little more freedom into filmmaking. Filmmakers no longer have to feel isolated to certain styles, locations, and customs. This lack of isolation allows them to try new things. When they do so, the melting pot gets a little bigger, and everyone can find somewhere that they can comfortably escape to in film. Black Panther matters. Ryan Coogler matters. The people watching and supporting Black Panther matter. The more films like this and the more directors like this, the better the industry becomes. Thanks for reading! What are your thoughts on Black Panther? Comment down below! If you enjoyed this article, subscribe to MovieBabble via email to stay up to date on the latest content. Join MovieBabble on Patreon so that new content will always be possible. What movie topic should I discuss next? Whether it be old or new, the choice is up to you! Great article, loved Black Panther ? I was ecstatic when Wonder Woman came out it was long overdue for women but I’m so excited to watch this film! The costumes alone, drew me in. The last time I was this impressed with costumes was probably LOTR. I mean, the detailing alone…awesome. Thank you for the great review! Really enjoyed your review. Definitely will watch this movie. Thanks! I honestly don’t think it matters that much at all. The Fast and Furious movies have a majority black and hispanic cast and those films make over a billion every time. The vast majority of moviegoers don’t care about the identity politics of a film they are paying money to see, they just want a good story. Black Panther and Wonder Woman were both decent films but they were also comic book movies as well which is why they were big draws, thats what matters to them. The politicization of these films is what turns people off.